Add all ingredients (except the Ginger Beer), with ice, to a cocktail shaker. 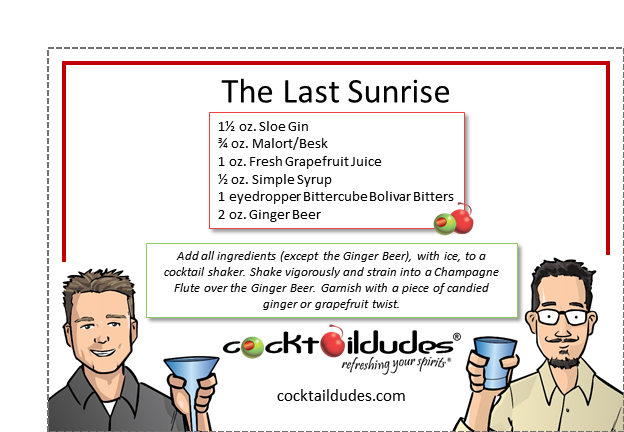 Shake vigorously and strain into a Champagne Flute over the Ginger Beer. Garnish with a piece of candied ginger or grapefruit twist. 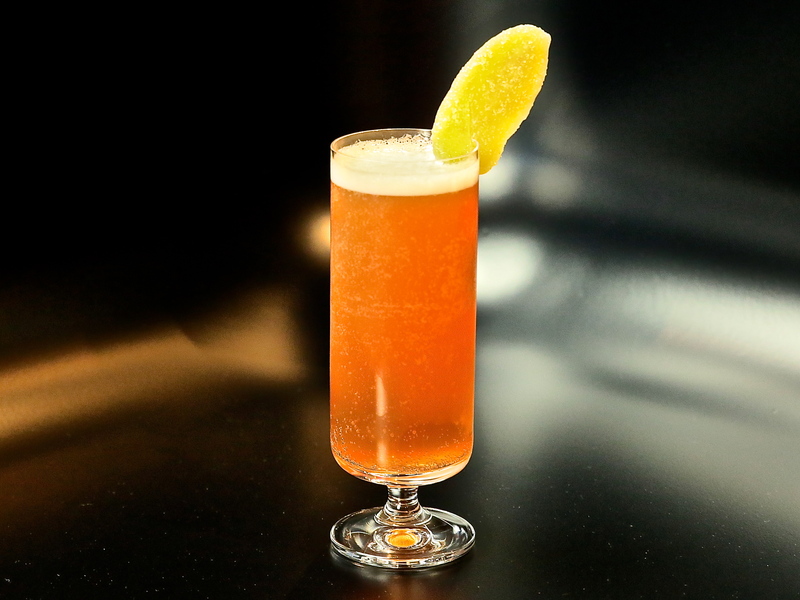 This is our take on Charles Joly’s The Sun Also Rises – itself, a fancified version of the Sloe Gin Fizz. Here, we use Malort (or Besk) in place of the Absinthe. The Malort – terribly bitter on its own – provides a broad citrus-rindy depth. We also swap out the bubbly for the spicy bite of ginger beer. The lemon is replaced by the milder sour of grapefruit juice. What you get is a pleasant, fizzy cocktail with a plummy-cherry background, a sharp ginger bite, and that rindy bitter edge. This cocktail is great on its own or with greasy/fried foods. Enjoy!